Let's cut to the chase. Gum disease runs rampant through dental practices across the USA and a lot of it goes untreated. The epidemiological studies confirm its prevalence and the insurance companies confirm that we don't treat it. With all of the extensive scientific research that includes thousands of studies over the last 10 years, dentists should know that preventing gum disease increases a patient's life expectancy. But we sure don't act like it. For God's sake doctors, pick up a damn perio probe! Give your cosmetic and neuromuscular dentistry a rest for a moment or two. Don't worry, no one will die. Open your eyes to the gum disease epidemic that is staring us right in the face. We've been ignoring it for too long. Maybe it's because we think that the hygienists have it under control, so why bother. Or maybe it's because we would really rather be doing the "productive" things we've been trained to do, like cutting teeth. Right now the reason is not important; the emergency action is. It's time to start a new movement to extend the lives of our patients by putting a new emphasis on doing everything possible to get gum disease under control. We are not far off from the day when physicians will administer a saliva sample gum disease test – yes, "physicians" – and patients might be told, for the first time, they have gum disease. If they've been going to the dentist every six months they simply are not going to believe it. They never heard word one about gum disease from their dental office! Patient anger will build and then imagine the ensuing (and suing?) fireworks from there. If physicians ever get to a point where they want to bring dentists on board to help reduce health risks for their patients, they'll be very wary since it won't take them long to see that dentists, by and large, do nothing about gum disease. They don't diagnose it and they don't treat it. Worse than that, if the physicians get their hands on the epidemiological studies and the insurance statistics, that will be the final nail in our profession's coffin. I suppose it's only a matter of time before 60 Minutes and 20/20 come calling again to dish out some negative dental press. Who ever thought that brushing and flossing your teeth could save your life? Well certainly not the general public, since a large portion still believes that it's normal for gums to bleed. Whoopi Goldberg recently spoke passionately and candidly on her ABC TV show, The View, revealing that she is losing her teeth. While risking personal humiliation and embarrassment, she acted for the greater good of her viewers and blamed herself for neglecting her mouth even though she had great insurance coverage. Whoopi felt compelled to warn her viewers, "If you are not taking care of your mouth, then you are not taking care of your whole body and it will kill you." "Studies have linked periodontal disease to not only conditions like heart disease, stroke, diabetes, cancer and pregnancy complications but also to pneumonia, Alzheimer's disease, wrinkly skin and erectile dysfunction." Do you realize that Whoopi's confession and proclamation has become a very powerful gift to our profession? The first oral-systemic celebrity spokesperson just took the stage. Even if Whoopi doesn't say one more word on the subject, we should still capture her image and attach that quote, make it poster-size and place it front and center in every dental office in the country. In fact, why stop there? 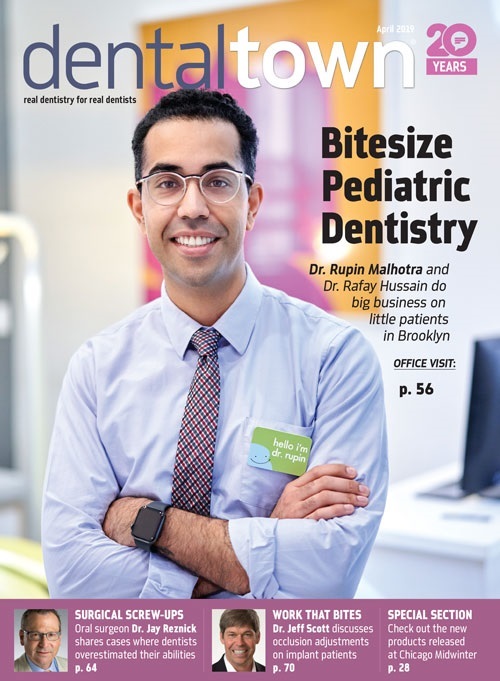 Let's encourage our dental periodicals to make this a cover story before all the celebrity magazines do! Dentists all across the USA should be thanking Whoopi for pleading with the public to seek out dental care now before serious oral and body health problems occur. We need as many messengers as possible, especially celebrities. More dentists would be nice too. The Surgeon General reported that 80 percent of the adult population has some form of gum disease. Reader's Digest reported on an 18-year study which concluded that people with gum disease were twice as likely to die from a heart attack and three times more likely to die from a stroke. Periodontal disease wreaks havoc on blood sugar levels, resulting in a significant role in our country's diabetic crisis. If you have diabetes and your gums bleed, your chances of dying can increase 400 to 700 percent. More than 30,000 Americans are expected to lose their lives to pancreatic cancer this year. Periodontal disease appears to be strongly linked to pancreatic cancer, according to a Harvard study on 63,000 male health care professionals, where a 62 percent increase in pancreatic cancer was shown in those who had periodontal disease. This is all life and death stuff! It certainly appears that gum disease is killing us and I know that our country's "Oprah-appointed top doc," Dr. Mehmet Oz, agrees. If you haven't heard of Dr. Oz yet, you certainly will be hearing plenty from him very soon. Dr. Oz will have his own Oprah-produced show beginning in the fall of 2009. The good news here is that he's a valuable friend of the dental profession. He understands the oral-systemic connection and he promotes it in his best-selling books (You: Staying Young and others in the You series). He was actually assigned to be the "dentist" when he was in the Turkish army. His outstanding metaphorical communication skills have earned him the public's trust. I attended Dr. Oz's keynote at the Presidents' Luncheon at last December's Greater New York Dental Meeting. Major congratulations are in order for the GNYDM planners who secured his speaking role at the meeting. He opened his talk by saying that it has been clearly established that gum disease has a role in cardiac disease (the number-one killer in the United States). On his Web site RealAge.com, he states that regular flossing can add up to six-and-a-half years to your life. At the meeting he went on to state that there is only a one in seven chance that a pregnant woman with gum disease will give birth to a regular healthy child that will grow to normal size. Yes, healthy mouths will enhance a patient's life and increase life expectancy, and this notion is beginning to catch on with the general public. Studies have linked periodontal disease to not only conditions like heart disease, stroke, diabetes, cancer and pregnancy complications but also to pneumonia, Alzheimer's disease, wrinkly skin and erectile dysfunction. New connections seem to be arriving every day. Chris Kammer, DDS, is a founding member of the American Academy of Cosmetic Dentistry and the Masters of Progressive Dentistry lecture series. 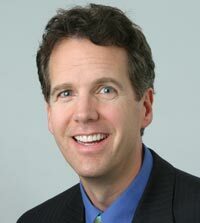 He has been a dental expert for USA Today, Reader's Digest, Fox News, NBC's Today Show and CNN. He trains dentists to be in the media through his Dental Media Power seminars. For information on Chris Kammer's "Gums of Steel" Hygiene Transformation seminars and coaching visit www.gumsofsteel.com. Contact Dr. Chris Kammer personally at drchris@thesmileexperts.com. Maybe now, all of this will light a fire under our sleeping profession when it comes to the life-and-death issue of gum disease. Hopefully now our profession will embrace a zero tolerance for bleeding gums (ZT4BG) and embark upon an all-out assault on gum disease and do everything possible to control it because it is contributing to our patients' early demise. Whoopi Goldberg and Dr. Oz know it and they are using their public platforms to educate. Imagine how well we could connect with the public if we could get Arnold Schwarzenegger on board as a celebrity spokesperson to promote a fun, super-hero-like image of an oral health goal that includes rippled, stippled "Gums of Steel" that weren't "flabby and weak." Check out "Arnold's Gums of Steel" on YouTube.com! I expect that more and more celebrities will be jumping on this oral systemic bandwagon. That will be a wonderful thing since the world seems to revolve around celebrities. But what are we in the dental profession doing with this powder keg of life-extending information? Certainly it is our civic responsibility to be educating the public as well. In addition, it's time for a radical transformation of our hygiene departments. Times have changed. Dentistry is not just about fixing teeth or creating beautiful smiles. It is about saving lives. Maintaining a "zero tolerance for bleeding gums" is where it starts. ZT4BG is the beginning, however doctors if you don't pick up a probe, nothing will change.